you look lovely! i have heard such awful things towards pregnant women (are you sure there's not more in there? or you only 6 months? i thought you were 8!). awful stuff. you are handling it all with such grace. Pregnancy comments were always the worst! I loved being pregnant but was always huge and I got a lot of "i don't think you will make it", "are you sure there aren't two" and "are you sure your due date is correct". You look adorable! Oh, and I always try to keep my comments on a positive note with pregnant women as I can only imagine all the changes that you go through and some people's comments don't make it better. People can be super insensitive to pregnant women. Mica you look amazing! You may feel like you look "bigger," but I see a happy, glowing woman about to welcome another life into this world. I think you handle all the unsettling words very well. I too LOVED being pregnant. I loved the growing belly, the stretch marks, all of it. (: It was so empowering. You're so right Kiki! it's a wonderful time, and incredible watching the belly grow :) Just don't get why people can be so insensitive! Yep I love a maxi dress - pregnant or not, haha! Well I think you look fantastic! Why do people say things like that to pregnant women. I swear, when I was pregnant people were both the nicest and the meanest to me than I've ever experienced. It was nice to always have the door held, etc. but boy did the unsolicited advice and commentary flow! People!! Why can't they just say, "you look great!"? Haha exactly Shea! So much unwelcome and unasked for "advice" and comments. It's nice they try to say something about it, but sticking with the tried and true compliments is a wise idea! Very true! Baby is growing and healthy and that's all that matters. I don't care how big I or my belly may get! I think you look fabulous and you are styling your body in great ways with the maxi dresses! Love the maxis, I'm sure they're so comfy :) I hope you hear nicer comments from now on! haha thank you Kiki! I hope I do too or my hormones will get the better of me and one day I'm going to cry! Micah I love that tie dye maxi on you! And what a great way to dress it up than with a Chanel bag! Gorgeous!! I love that you're still dressing pretty much how you were before you were pregnant. All those maxi dresses are still in high rotation I see! I'm so sorry all those people have been saying such rude things to you. People need to think about what they say! 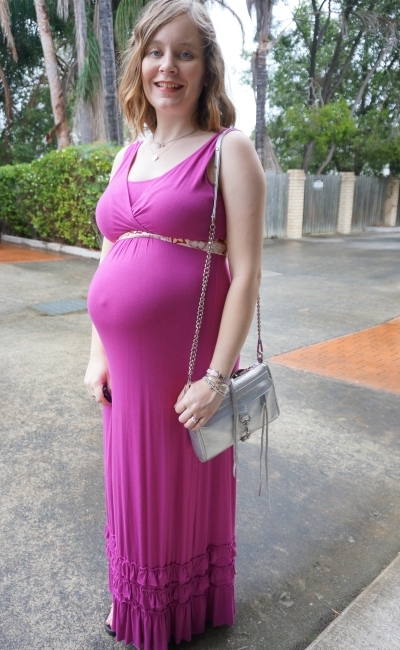 Yep got to love a maxi dress that works well - pregnant or not! It would be nice if people stopped for a moment to think about what they're saying! I love those maxi dresses! Especially the second one with the ruffles. You look great! I feel like if I'm ever pregnant I would just wear maxi dresses all the time! They look cute and comfortable! I don't understand why people feel they need to make weight comments to pregnant ladies. I would totally lose my temper and be like "Well you look a lot bigger since the last time I saw you too!" Anyway, you look great! Don't let those other comments get you down! haha that would be a great comeback! I will need to remember to use that. Too often I'm focused on trying not to show how shocked I am with what they say! So many weight comments, when they mean to comment on just the bump alone! I love both of these looks. I think your bump is adorable, and no you're not huge, you have a little bundle of joy growing inside of your belly I think that's beautiful. Don't let negative comments bother you! Thanks! I try not to let them get to me, just with hormones and all making me weepy...haha. Yep I think strangers lose the filter when faced with a pregnant woman, haha! Sorry you had to experience that Mica. Some people don't have any tact or manners. I find that in society period. It's really sad. Don't let them get to you. You're going to have a fine baby! That's all that matters. People nowadays always have something to say. 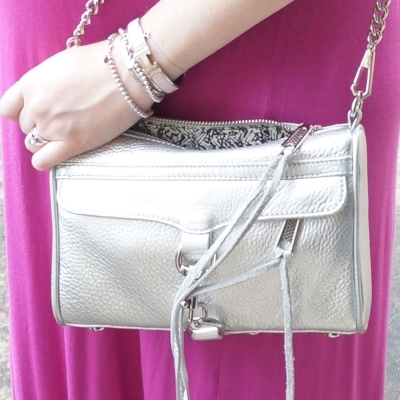 Both of these maxi dresses and bags are great! That vintage Chanel is amazing. I don't remember seeing it before. What a special piece. That's what I'm dreading about being pregnant, people commenting on my size! Pregnancy suits you well, while you're stomach is sure growing, you don't look to have put on weight anywhere else! I just don't get why it happens so much :( I hope you don't have to deal with it when you're pregnant! I think you look beautiful. Often people don't realise that how they say something can get you down but it doesn't come from a bad place. However it can appear insensitive and I can imagine getting the same reaction from lots of people can be very tiring. You're right, I don't think they realise how rude they are being sometimes! Hearing it over and over gets very upsetting though. You look the textbook image of a happy, healthy pregnancy with an excellent, perfectly sized bump! hahaha YES! Why can't people just say this?! Would make pregnancy much easier! Hooray for maxi anything! Hahaha! They're so much easier in the heat, you throw it on and looked polished. Even if you don't make much of an effort like myself lol. I had no idea about peeps being so "obvious" or rude like that! Personally I'm awkward around kids and pregnant girls and I always make extra effort to not be weird around them lol. I've never said anything about how big anyone is, I think that's plain rude, regardless of pregnancy or not! I can't imagine how confronting it must be and feel like to, especially with the hormones! People can be so oblivious sometimes to things like that and don't realise what they're saying. It wouldn't come from a negative place though, you could take comfort in that. Yes I think genuinely they have no idea how rude they are being most of the time. It's the ones who persist that are the strangest, and most upsetting to be honest! I agree, I don't think weight comments are nice in any context - pregnant or not! Firstly, you look amazing. Children are a blessing anyway, so wishing you all the best with your pregnancy. When my sister was pregnant people kept telling her the same, it's cruel and ignorant, but that's how some people are. It's sad your sister experienced that too! Some people are just so rude to pregnant ladies, during what is an amazing (but also emotional!) time! So gorgeous! 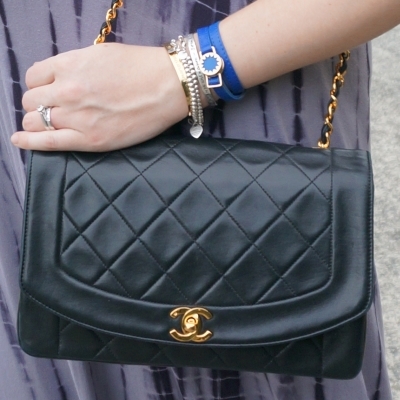 Swooning over your chanel bag! You look great, don't mind the comments! Thank you to everyone who read the post and took the time to add your thoughts! It's sad so many pregnant women have to deal with comments like this, but good to know we are never alone in it! Sometimes humanity surprises me! You are gorgeous and ignore the daft comments! The bump is getting bigger and you look even more prettier!!! That tie-dye maxi, I love it so much. You can't go wrong with it, any time you wear it. Happy Monday hun! I'm sure people did just mean the bump was big, but "you're huge!" is very different from "your bump is huge!" haha. Honestly, whatever happened to basic manners?! It infuriates me that by the sheer virtue of being pregnant, a woman's body (and that of her unborn child) somehow becomes common property. I hate when people ambush baby bumps without asking, or make comments they'd never dream of making to a non-pregnant person. It annoys me SO much and I've never even been pregnant! I can imagine I'll be a treat to anyone who dares to be so rude to me (or I'll just keep bursting into tears the whole time - it's a toss up). Anyway, glad you've got your head up high. You look fabulous! haha yeah with hormones I never react the same way twice - it just depends on how I'm feeling at the time really! Definitely agree that manners would make a difference. There's a nice way and a not-so-nice way to say things, a little politeness would make the choice clear!